Sunday, after the boy and I finished cleaning up from the party, we decided to head out and catch a movie and grab some dinner. We had both been wanting to see J. Edgar and we both really enjoyed it. Leonardo Dicaprio does not disappoint. He really is an amazing actor, the way that he truly becomes the character he is playing. It was a very interesting historical movie, highly recommended! 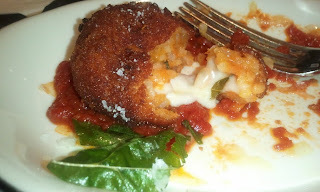 After the movie we went to check out a new restaurant that opened a little over a year ago, Parma 8200. It is not far from where we both work in more of a business park, so it was quiet for a Sunday night. 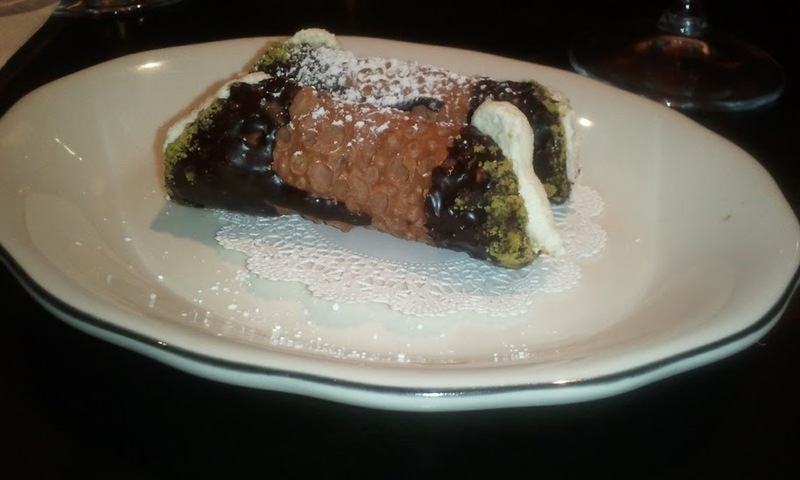 I had a $50 Open Table Spotlight gift certificate and it turned out to be the perfect time to use it as they had Sunday night date night which consisted of three courses and a bottle of wine for two. There were several items to go with, for my first course I chose the risotto balls that we absolutely delicious. The boy had a minestrone soup that was also very good. 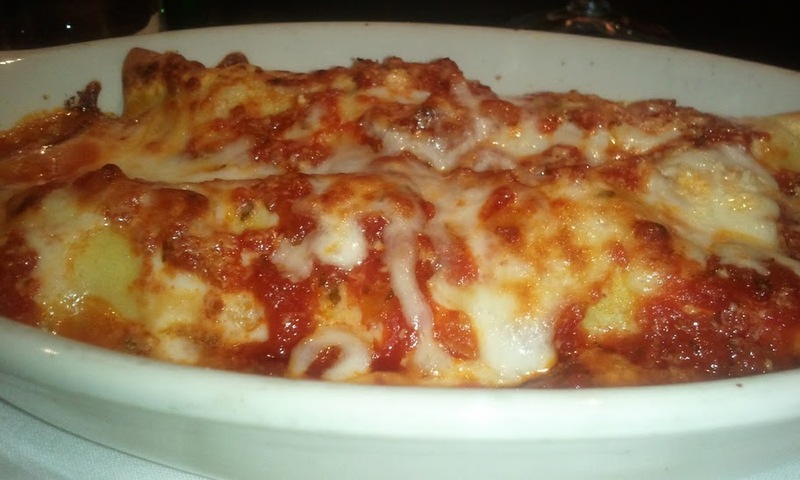 There were several items to choose from for our main course, but it was quite cold out, and the description of the veal cannelloni was just too hard to pass up! For dessert the boy had the cannoli which he really enjoyed. 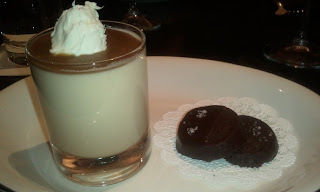 I order the sea salt butterscotch panna cotta, which had to be one of the best things I have ever tasted. The service was wonderful, the ambiance was so relaxing and inviting, I cannot wait to go back! They have lunch specials and I have a new person starting the 12th, I am thinking that is where I will take her! Oh that all looks so delicious. Sea salt butterscotch? Sign me up!